Random Gun focusses on the arbitrary nature of guns. 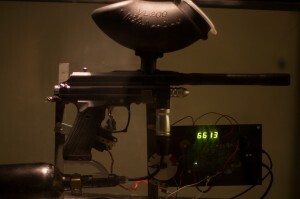 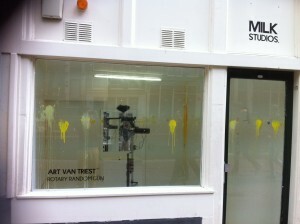 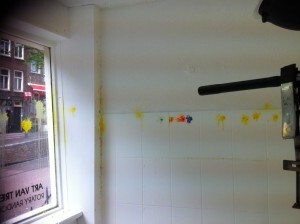 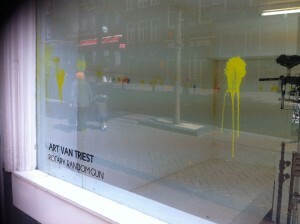 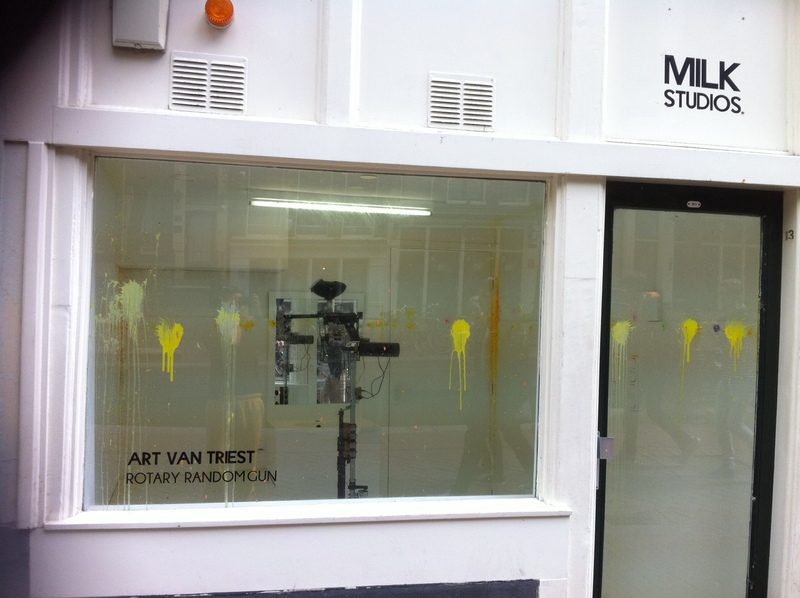 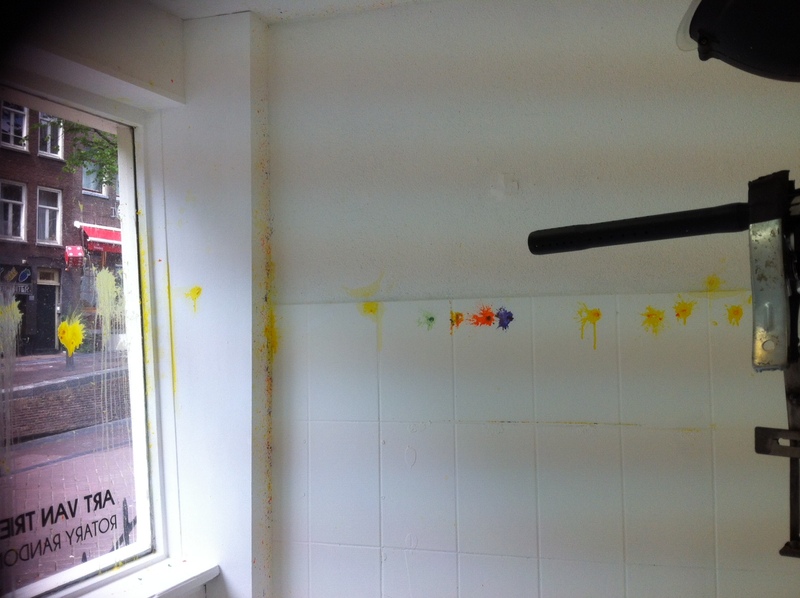 A timer on a gun shows random numbers, when a specific number is shown the gun will fire a paintball on a wall, which in turn creates an artwork in itself. Visitors will try to find out when the gun fires, because of the randomness they will never really find out. 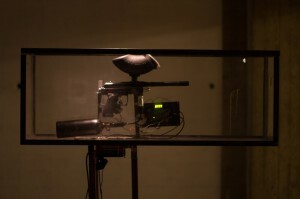 and we should all be afraid. 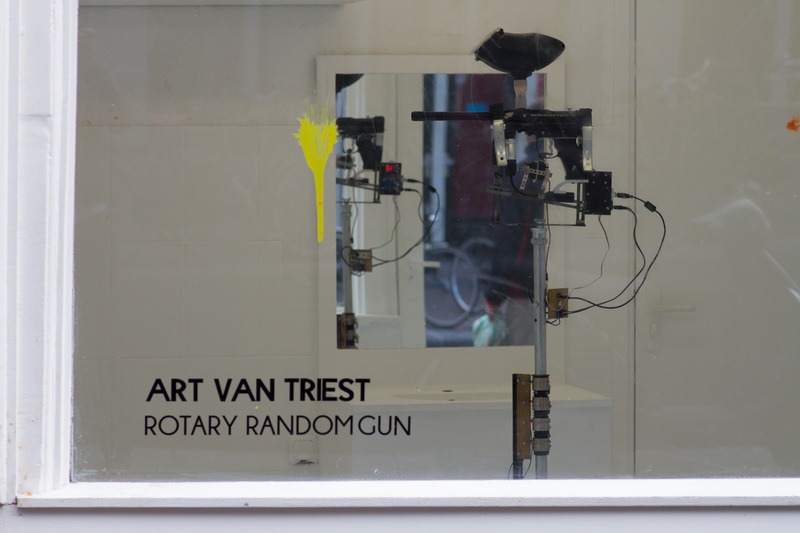 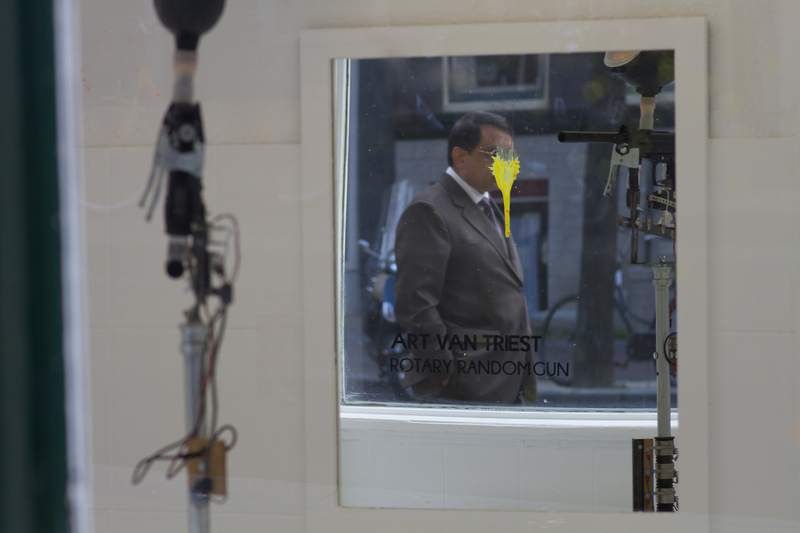 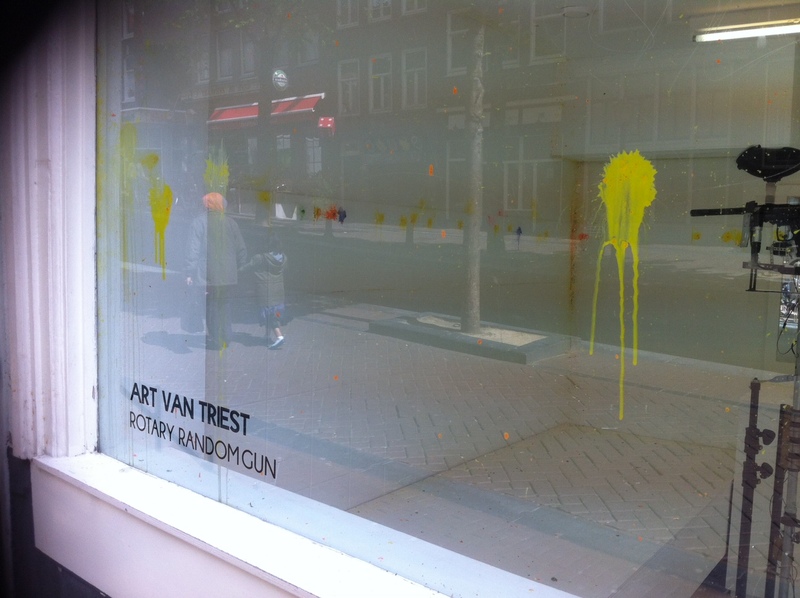 May-june 2014 Rotary Random Gun was exposed at the redlight district in Amsterdam.